Looking for a bachelor or bachelorette party idea in Minneapolis or St. Paul? Have some clean fun by getting dirty! Go paintballing with your close friends! Air Assault Paintball has the perfect venue for your next bachelor or bachelorette party! Play paint ball on our urban combat field and experience Call of Duty action! Hide and shoot behind tanks, humvees, ammo crates, buildings and more! Worried that paintballs hurt or will leave you with an unpleasant welt before the wedding? Ask about our low impact paintball option! Shoot smaller and lighter paintballs with less pain and have more fun! We provide the best paintball experience in Minnesota. Our paintball center is conveniently located in downtown St. Paul, MN right off of Highway 94 and Highway 52. Check out our camouflage building at 155 Eaton St. St. Paul, MN 55107! After playing paintball indoors, head back to the city to have a epic night out with the guys. 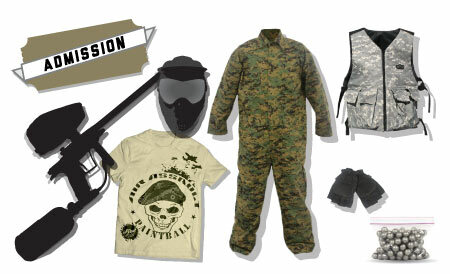 Play capture the flag, elimination, head quarters and other objective paintball games. Don’t forget to have the Bachelor run the gauntlet! Parties may catering in food as well as spectate from the viewing areas or behind windows in the large staging area. Bachelors / Bachelorette Play for FREE! $62 Value. ALL FOR FREE! To take advantage of the prepaid reservation and bachelor party special, remember when entering the group size to not include the bachelor. For example you are bringing 6 players total (including bachelor), just book for 5! Book a party anytime during our open hours for you and your group. Groups may range from 2 players to 100 or more and have no time limit! 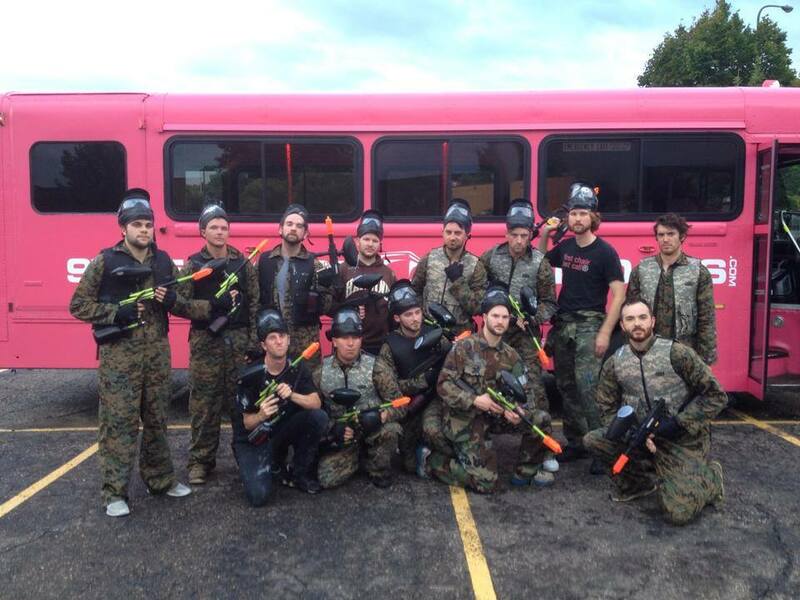 Average paintball bachelor parties last 90 minutes. Our paintballs wash out but your memories will last a lifetime! 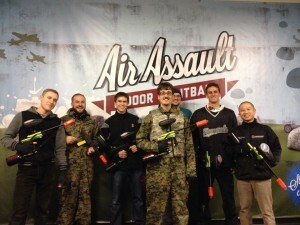 Air Assault Paintball specializes in the best bachelor party experience in Minnesota! Book your paintball party at Air Assault Paintball MN by reserving online today! Have questions? Please call us at 651-222-0300.